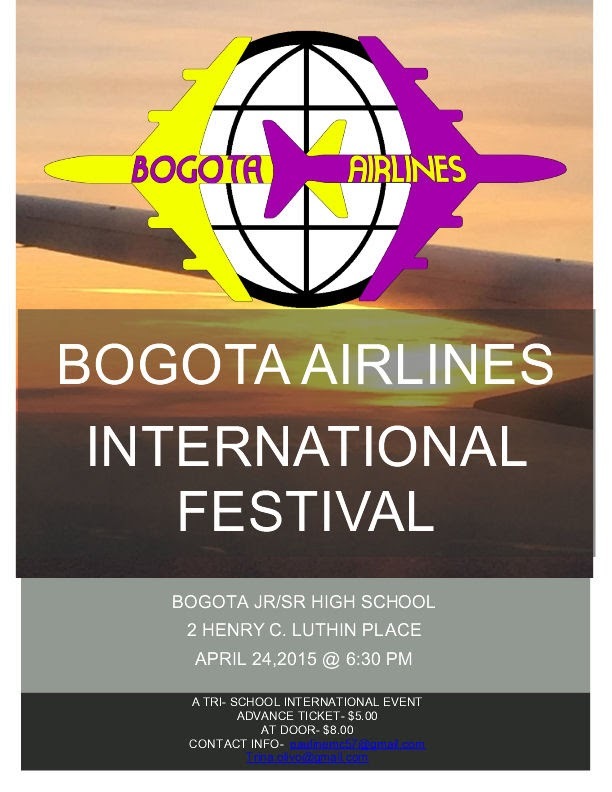 Some events happening in and around Bogota for the weekend starting Thursday 23- April. The first Bogota Community Earth Day Clean up of Olsen Park & W. Main St. which will take place on Saturday 25- April from 10:00a to 2:00p They have commitment from the Bogota Dept. of Public Works to have a schedule pick-up of the trash and other refuse the Volunteer gather during the clean-up. The Company Reuseit has donated 50 sustainable, reusable Lunch bags. Park Rangers from New York City has signed on to join the clean-up and will help organize the various project that day. Home Depot will donate up to $200 worth of equipment. Some of the items will be Safty vest for Volunteers who clean-up near the Streets, Work Gloves, and soil were needed. There has also been a commitment from 64 individuals to Volunteer to clean up Bogota. Volunteers are ask to be at Olsen Park at 9:30 a that day to help with organizing and set-up. Anyone also looking to Volunteer can register at: Bogota Beautiful Earth Day 2015 There is also a need for some other equipment such as Rakes, Street Brooms, Leaf and trash Grabbers, Cordless leaf blowers, ands a pair of Power Washers.